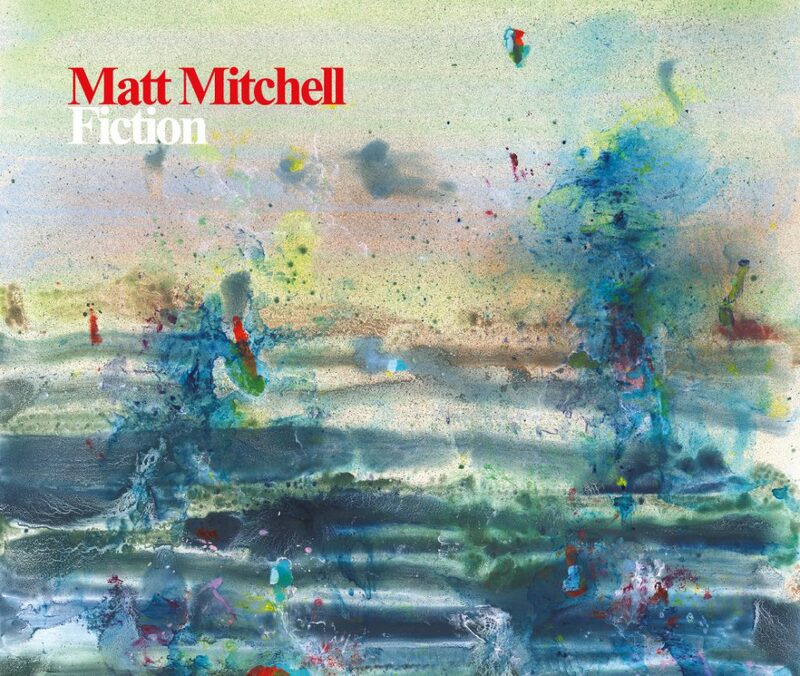 Fiction is the highly anticipated debut recording from Matt Mitchell, one of the most in-demand pianists in jazz. Recently named one of “Four Young Pianists on the Rise” by The New York Times, Mitchell is a member of the Dave Douglas Quintet, John Hollenbeck’s Claudia Quintet plus 1 and Large Ensemble, and most prominently Tim Berne’s Snakeoil, whose eponymous album garnered accolades as one of the best releases of 2012. Born in 1975, Mitchell grew up in the suburbs of Philadelphia and continues to be based in that city. He is a graduate of Indiana University and received his masters from The Eastman School of Music. Mitchell’s name started appearing regularly on the New York jazz scene in 2009 when he started to make a name for himself as a pianist of superb musicality and invention. According to Berne, Since we began working together the last four years I’ve seen him blossom into one of the most important pianists in music. His ability to navigate complex composed and improvised structures with incredible ease and maturity is revelatory. Mitchell is also in bands led by Rudresh Mahanthappa, Darius Jones and Michael Attias, among many others. He also leads various ensembles with such musicians as Berne (alto sax), Dan Weiss (drums), and Mary Halvorson (guitar). Dave Douglas says of Mitchell, “He is simply amazing”. A true polymath, Matt seems to carry five thousand terabytes of information in him as he plays, and he manages to parse it out in the most ingenious and organic ways. The pieces on Fiction were originally conceived by Mitchell as etudes to help him integrate composition with improvisation and to test the technical limits of his pianistic abilities. He started composing these pieces in 2010 just for himself little musical puzzles to worry over without much concern whether anyone besides himself would actually be able to play them. The music pack a huge amount of information into their short forms; they’re all odd angles and shapes, sometimes with extreme interval leaps and constantly shifting rhythms. For example, the piece singe assigns two distinct tempos to the pianist’s left and right hands. This is music almost completely devoid of any reliance on clichés and pet licks. In addition to including them in his practice routine, he started to use them to warm up before performances. As a joke that quickly became serious, drummer Ches Smith, also a member of Tim Berne’s Snakeoil, would play along with the pieces during these warmups while the band was on tour. It wasn’t long before Mitchell and Smith decided to work together with purpose on this knotty music, gradually adding varying improvisational approaches to each piece. Slowly they evolved from solo etudes to mutable ensemble works. Smiths importance to this rhythmically complex music cannot be overstated. His playing, loose in feel yet precise in execution, brings a punk and indie rock aesthetic to the music. “Ches sniffs out challenging music”, says Mitchell, “and he’ll spend time learning it for its own sake.” Smith is one of the busiest drummers on the scene, playing music that often straddles jazz, improv and the noisier reaches of indie rock. In addition to leading his own bands, he is a member of Marc Ribot’s Ceramic Dog and Mary Halvorson’s Quintet and Trio, and has played with Mr. Bungle, Secret Chiefs 3, and the rock band Xiu Xiu. Given Mitchell’s piano scores, which provided a roadmap for the musics twists and turns, Smith improvises his parts while hewing closely to the compositions rhythmic forms. They rehearsed together tirelessly in order to negotiate these pieces as precisely as possible while still playing with a sense of freedom, while discovering the previously-unknown means of improvising on, with, and amidst the pieces. For Mitchell, who counts pianists such as Andrew Hill, Paul Bley, Muhal Richard Abrams, and Keith Jarrett as inspirations, “the lineage of jazz is very important to me. I make a point of trying to play things that have not been played before while at the same time not disavowing anything that has come before.” Packed with wild gyrations of rhythm and counterpoint, the pieces on Fiction are like some warped amalgam of Thelonious Monk, Chopin, and Autechre. The music pushes and pulls against form, a sometimes-hiccuping, often-digressing perpetual motion machine of variations on a theme. Seeming not wholly of this world, Fiction is a figment of Mitchell’s febrile imagination and a landmark in the possibilities of composition and improvisation.